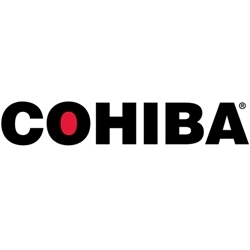 Considered one of the most recognizable cigar names on the market, Cohiba cigars are known for their luxurious lineup of hand-rolled premium cigars. Cohiba premium cigars first debuted in Cuba, created specifically as a personal favorite of Fidel Castro. Today, General Cigar Company in the Dominican Republic produce Cohiba cigars using the same traditional methods incorporated in Cuba. Cohiba premium cigars are infused with robust tobaccos from different countries all over the world. Dominican Republic Cuban-seed fillers, and Indonesian binders make up the inner parts of these premium cigars with spicy African-Cameroon or Connecticut Broadleaf wrappers used to hold them perfectly together. The results are a medium-bodied high-quality cigar that is very rich and creamy, with a complex profile that’s smooth and flavorful. Cohiba are handmade premium cigars offered at an everyday smoker's price, affordable and available to cigar connoisseurs everywhere! Smokers Discounts has made it easy to buy premium cigars online. Try the one of the varieties of sizes and flavors listed below at our online cigar store. Each of these styles are in stock today at a low discount price! Call us for more details!